I love Trader Joe’s. It’s true. I’m completely biased but it’s the best grocery store ever. My friend and I were talking about it the other day (as you do) and we were saying how much we love how easy Trader Joe’s makes it for people to not only cook well but come up with fun and unique meals. 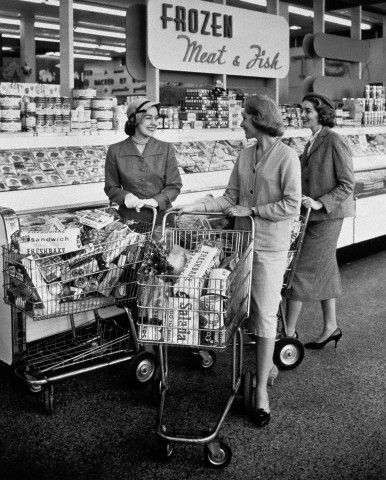 Everything is easy to find, the stores are never too big, and they always have fun new items to try. I always love reading what other people are buying from Trader Joe’s so I thought I would share just a few of my absolute favorites. Sweet Potato Gnocchi: I may or may not be obsessed with this stuff. I make this with spicy italian chicken sausage all the time. About weekly to be exact. It’s so easy and always delicious. 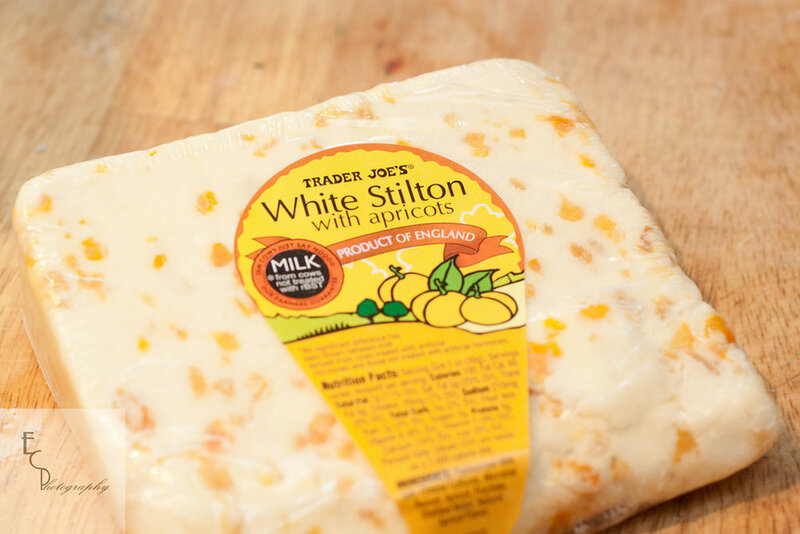 Apricot Stilton: This with the Raisin Rosemary Crisps is a snack made in heaven. Bring this to a fancy party and everyone will love you. Promise. Cocoa Batons: I’m writing this at night and these Cocoa Batons are right next to me. These are incredibly delicious and also addicting/you will want to eat the whole jar in one sitting. Probably don’t do that but also if you do, I will not be the one to judge you. Chopped Spinach: I used to always buy fresh spinach and then forget about it and it would go bad after using it for only one smoothie. Buy this frozen spinach and you don’t have to worry about that! You have spinach for all the smoothies in your life. Vegetarian Chili: Easiest snack or dinner ever. Throw some cheese on this or eat it as a dip with some of those purple chips from Trader Joe’s and you’re good to go! Asparagus Risotto: This is a new addition to my favorites list. This is so easy to make and crazy delicious. Definitely throw it in the freezer for those nights where you aren’t feeling creative but want something cozy and easy to make. Uncured Pepperoni Pizza: This is the best frozen pizza I’ve ever had in my life. To be honest, this pizza rivals a lot of pizza’s I’ve had in my life. It’s. So. Good. Diced Onions: Random but this little bag of onions is a lifesaver. I hate chopping onions. I always start crying and then my eyes start burning and it’s just a disaster. Mediterranean Style Salad Kit: This is a great little kit. Throw it all in a bowl and voila! Easy salad. My favorite meal right now is the salad kit and the pepperoni pizza. Easy peasy! Blueberry & Acai Facial Scrub: This clearly isn’t food but I have to share it. I just bought this and guys, it’s so good! My skin felt so soft after and it smelled like a smoothie on my face (in a good way!). So what are your favorite Trader Joe’s items? I’m always looking to switch it up!